Fans of soused slapstick and silent comedy take note! Flicker Alley, the video label that brought us the magnificent Chaplin At Keystone box set, has announced two newly restored collections of silent film shorts on blu-ray: Chaplin's Mutual Comedies (Limited SteelBook Edition) and The Mack Sennett Collection, Vol. 1. These blu-ray box sets will be released on July 29th, but you can pre-order them now at a discount. Even better, you receive an additional 10% discount if you pre-order the sets together from this page by April 30th! 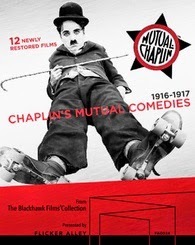 Chaplin's Mutual Comedies is a 5-disc Blu-ray/DVD box set featuring the twelve classic Mutual shorts (including alky classics One A.M. and The Cure), all scanned under the aegis of Association Chaplin at a resolution of 2,000 lines from original 35mm prints gathered from archives all over the world, then digitally assembled and restored. 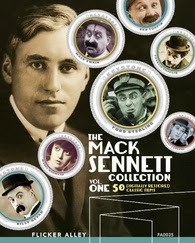 The Mack Sennett Collection, Vol.1 features the first 50 of 100 of the best surviving Sennett comedies that have been gathered from around the world, fully restored, and digitally re-mastered in HD for home video. This includes the work of Chaplin, Fatty Arbuckle, Mabel Normand, Harry Langdon, and W.C. Fields (specifically the funniest short of all time, The Fatal Glass of Beer). Click on the collection links above for more info on the contents and special features, but if you plan to buy both, be sure to use the combo page to get the deepest discount! A LIE AGREED UPON: DAVID MILCH'S DEADWOOD from RogerEbert.com on Vimeo. 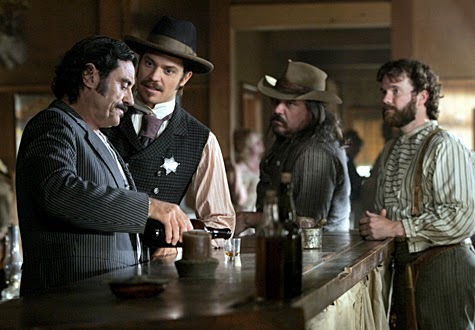 David Milch's television masterpiece, Deadwood, may not precisely qualify as a "booze movie." However, it was one of the most cinematic and liquor-laden series to have ever graced the small screen; so excuse me if I go ever so slightly off-topic for this post. 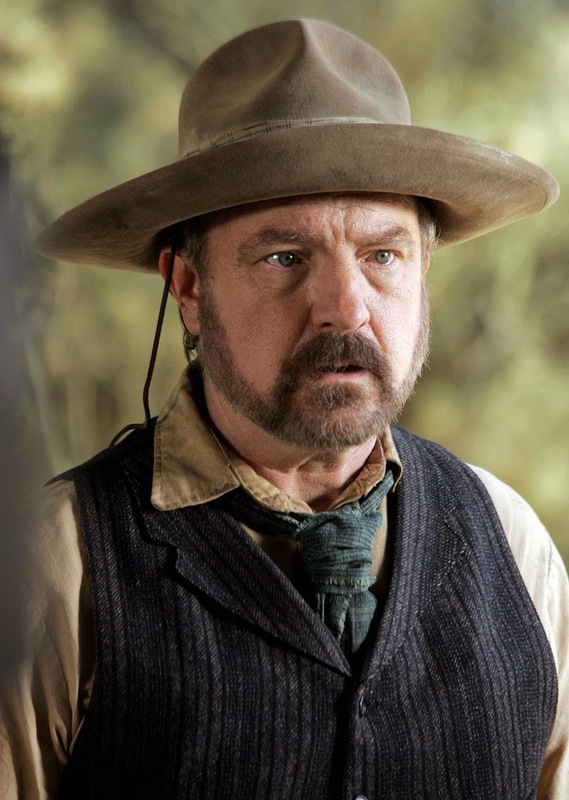 To commemorate the 10th anniversary of what in my opinion was the most literate, humane, and engaging show in the history of television, RogerEbert.com and HitFix.com have teamed up to present a 26-minute celebration of Deadwood, narrated by series regular (and fan favorite) Jim Beaver. The video is embedded above, courtesy of Vimeo. For Dead-heads like me, this brief documentary is sure to stir up sublime memories and renew the heartbreak that the series was cancelled after airing 36 near-flawless episodes (although I would argue that the final line of dialogue in the last show was the perfect coda for a work of fiction that always told the truth). A word of warning for the uninitiated -- The video above contains a number of series spoilers, so if you have not yet enjoyed this television masterpiece, by all means buy the Blu-rays or stream the complete series (on HBO Go) before you watch this remembrance. Trust me; you will not be disappointed. Deadwood was the only show that was so good that I would watch each episode twice on the night it premiered. Like a premium whiskey, a single shot was not enough. This is a show that should be savored again and again. God bless you, Mr. Milch! On February 2nd, 2014, 100 years will have passed since the release of Charlie Chaplin’s first film. 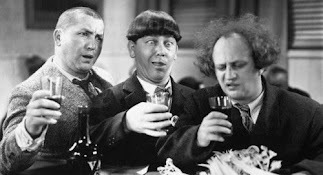 To mark that momentous anniversary, Booze Movies raises a glass to the movies’ first megastar—the man that popularized soused slapstick. W.C. Fields is the comedian whose film persona is most strongly associated with strong drink—a position that is certainly well deserved. 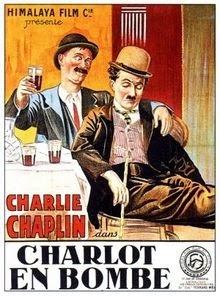 However, no comedian did more to popularize booze-related humor than Charles Spencer Chaplin, the comic who Fields derisively referred to as “that ballet dancer.” Taking into account both short subjects and features, Chaplin produced more alky comedies than any other major movie merrymaker. 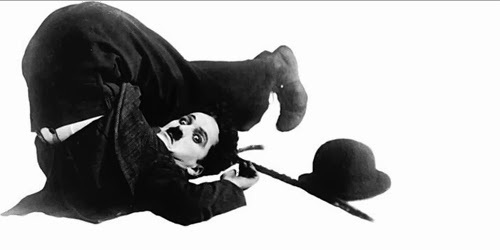 This output of staggering slapstick had a tremendous impact on the direction that film comedy would take, due both to Chaplin’s astonishing popularity and the simple fact that his films came so early in the history of the medium. Chaplin certainly didn’t invent drunken humor. 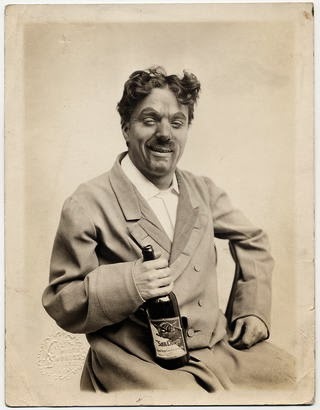 The comedy inebriate was a staple of theatrical entertainments on stage and screen prior to the arrival of “the Tramp.” Chaplin simply played drunk more hilariously than anyone that had come before him. The fact that his pickled pantomime holds up to modern viewings, after one hundred years have passed and thousands of intervening comedies have flashed in front of our ocular orbs, is testament to the mastery of Chaplin’s art. It was Chaplin’s excellence in imitating an inebriate that facilitated his entry into the movies. In 1913, Mack Sennett saw the then-unknown British comedian perform his signature stage sketch, “Mumming Birds,” as part of the American tour of Fred Karno’s comedy troupe. The sketch, later adapted for film by Chaplin as A Night in the Show (1915), involves a well-dressed and well-oiled audience member (Chaplin) that drunkenly interacts with a variety of rotten onstage acts. 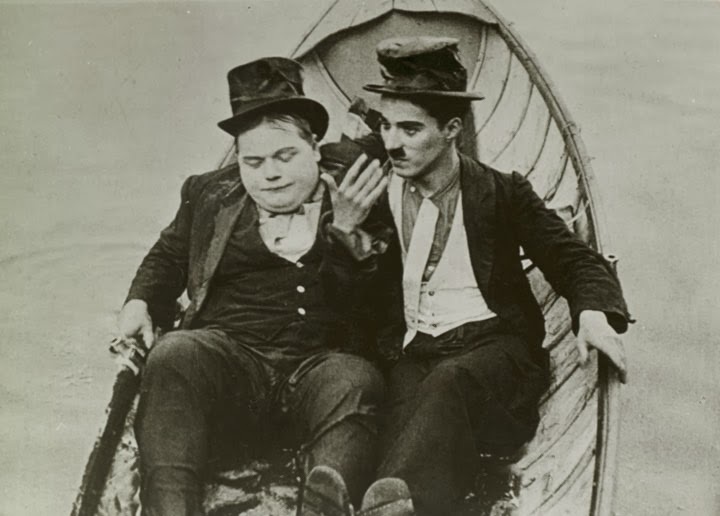 Sennett was spellbound by Chaplin’s physicality and signed the comedian to a contract with Keystone studios. With Chaplin’s second film for Keystone, Mabel’s Strange Predicament (1914)*, Chaplin assembled the iconic wardrobe, hat, cane, and toothbrush mustache that he would use for the next twenty-six years. As Chaplin was required to ad-lib most of his part, he naturally relied on the drunken shtick that had worked so well for him on the stage. Thus, Chaplin’s first use of “the Tramp” or “the Little Fellow,” as he usually referred to the character, was as a bothersome drunkard irritating residents of a hotel. The character connected with audiences almost immediately, and by the end of 1914, Chaplin was Sennett’s biggest star. The early comedies Chaplin made at Keystone often employ boozy business to garner guffaws, but Chaplin was always interested in experimentation, and he was no one-trick pony. Consequently, as he moved from studio to studio for bigger paychecks and increased artistic control, the alcohol-centered comedies became more infrequent. Still, the funnyman’s origins as a comic drunkard, informed his comedy throughout the remainder of career, resulting in liquored laughs in some of his greatest pictures. These include the tour de force one-man-show, One A.M. (1916); the “dry out” comedy, The Cure (1917); Chaplin’s last few forays into short subjects with The Idle Class (1921) and Pay Day (1922), and his feature film masterpiece, City Lights (1931). 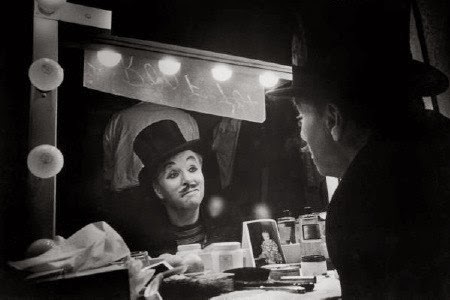 Even Limelight (1952), which most critics consider Chaplin’s last major work, is the story of an alcoholic clown trying to make a comeback. Chaplin may be remembered more today for his pioneering melding of pathos and humor, for expanding comedies to feature-length, for his part in founding United Artists, and for attacking Hitler with savage satire more than a year before America entered World War II than for his use of booze-based humor to elicit laughs. Still, his impact on soused cinema was tremendous. The landscape of motion pictures history would be far drier without the comic invention of Charles Spencer Chaplin. Here’s to you, Charlie! *The movie-going public was actually introduced to the character of “the Tramp” in Kid Auto Races at Venice (1914), which was filmed after Mabel’s Strange Predicament but released to theaters a few days prior to the character’s true debut film.